German Chancellor Angela Merkel has said she would prefer new elections to leading a minority government. 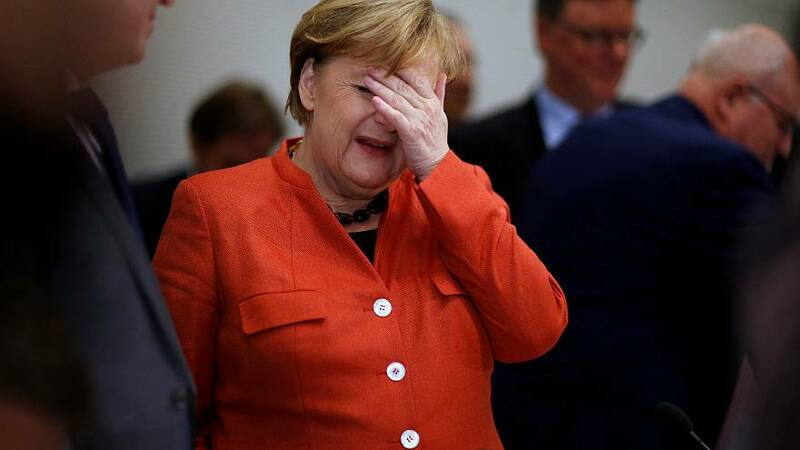 Her comments came in an interview on German television following Sunday nights collapse of attempts to form a three-way coalition. “I do not have a minority government in my planning but now we have to wait for the next few days and the road to new elections is one way,” said Merkel. Although Merkel has been significantly weakened by the failure of the talks following September’s election, she said she had no intention of resigning. Germany’s President Frank-Walter Steinmeier, has told the different parties they owed it to voters to try again to form a government amid this unprecedented situation. His remarks appeared aimed at the FDP whose leader Christian Lindner’s announced on Sunday that he was pulling out of the negotiations and at the Social Democrats (SPD), led by Martin Schulz, who on Monday ruled out once again renewing their “grand coalition” with the conservatives.